Searching for something special - go ahead here! 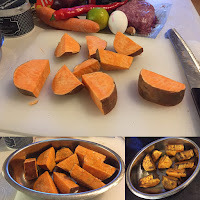 Cut 1 sweetpotatoe in small pieces. Place them in an bakingpan and mix with a little oil, salt and black pepper. Roast in the oven for about 20-25 minutes. Carrotaioli: Peel and cut 1 carrot in small pieces. Boil soft in a pot. 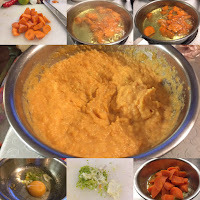 Place the cooked carrots in a bowl and add finely shredded limepeel from 1 lime, juice from half a lime, 1 eggyolk, 1 tbs oil, 1 clove ofgarlic (pressed) and 1 tsp salt. Mix smooth with a mixer. 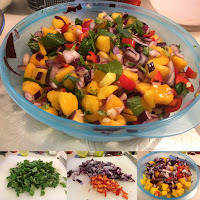 Mint and mangosalsa: Finely chop ½ a red onion and ½ a red chili. 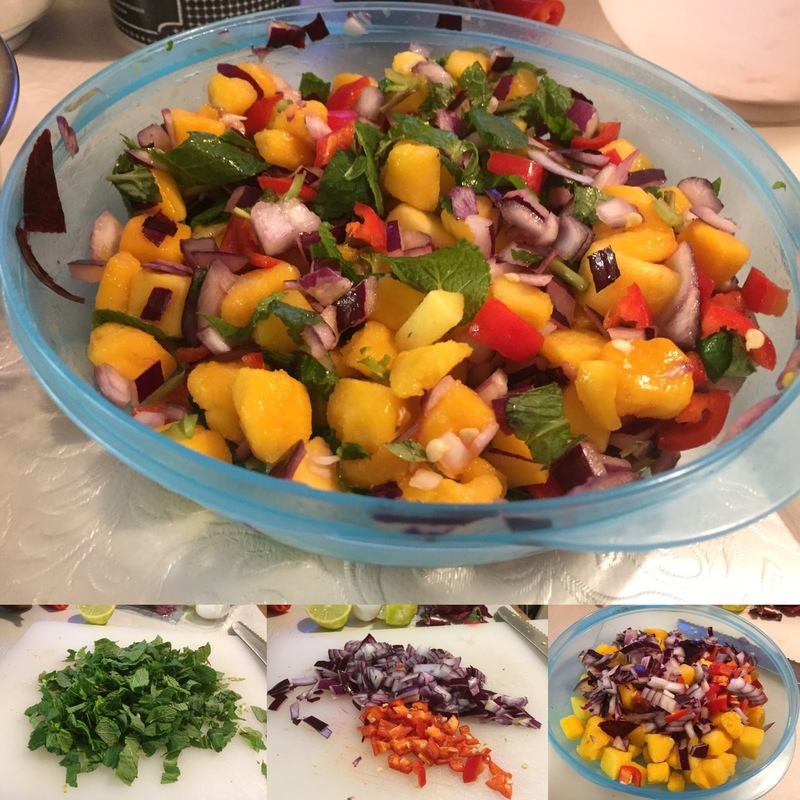 Place in a bowl with finely cut mango. Cut finely a handful mint. Add the juice from ½ a lime. 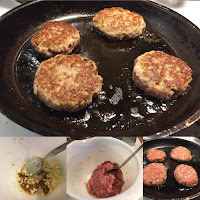 Mix 1 tbs breadcrumbs, 1 tbs japanese soy sauce, 1 tsp sambal oelek, 1tbs finely chopped ginger. Mix in 250 gr ground turkey meat and 2 cloves of garlic pressed. Make burgers and fry in a frying pan with a little oil 3-4 minutes on each side, until the burgers are done through. Serve turkey burgers with carrotaioli, mangosalsa and roasted sweetpotatoe. Decorate with the fresh mint. Björg Farstad. Temat Eterisk. Använder Blogger.